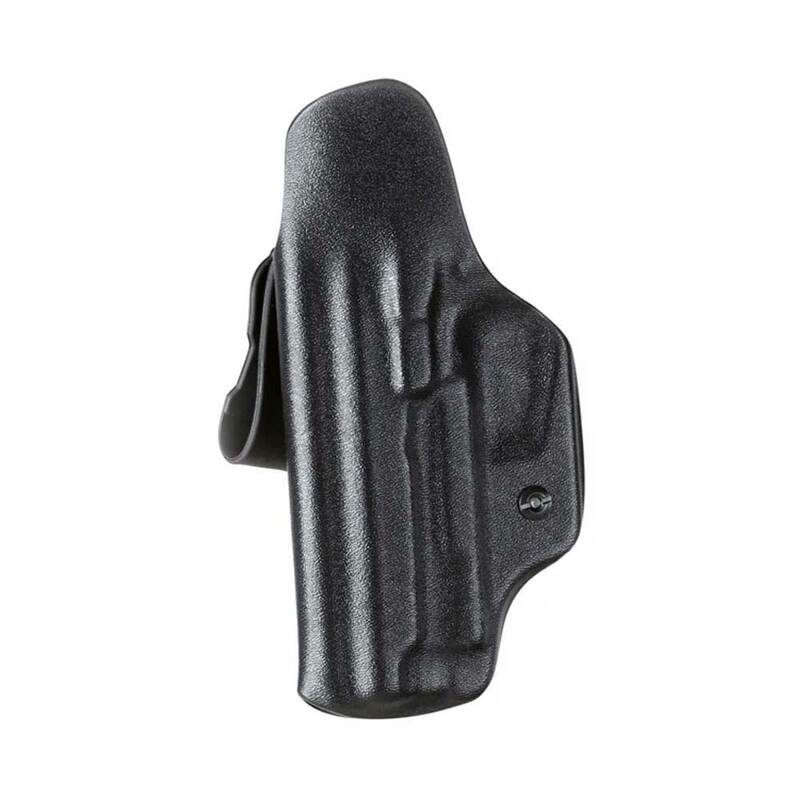 The Traditional IWB is molded out of a slim, yet durable .080 true Kydex. 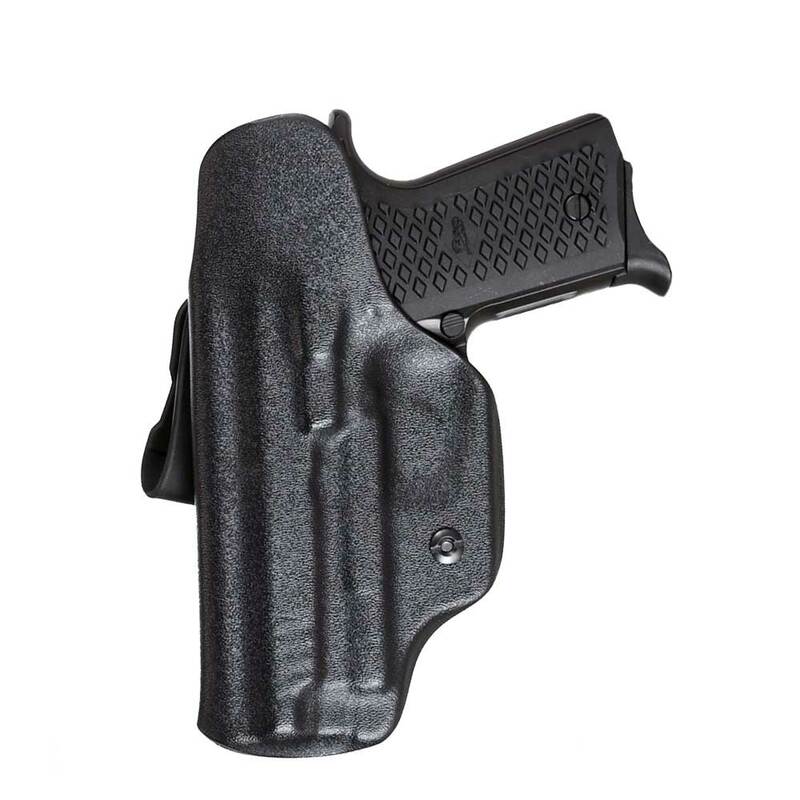 The first thing you will notice with this holster is the contour of the overall shape. 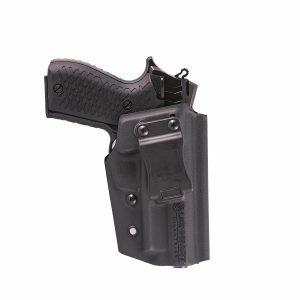 Like all K Rounds holsters this IWB is formed not only to the firearm, but also the human body. The outside contour of the belt helps the operator conceal their pistol in the natural voids of the body. 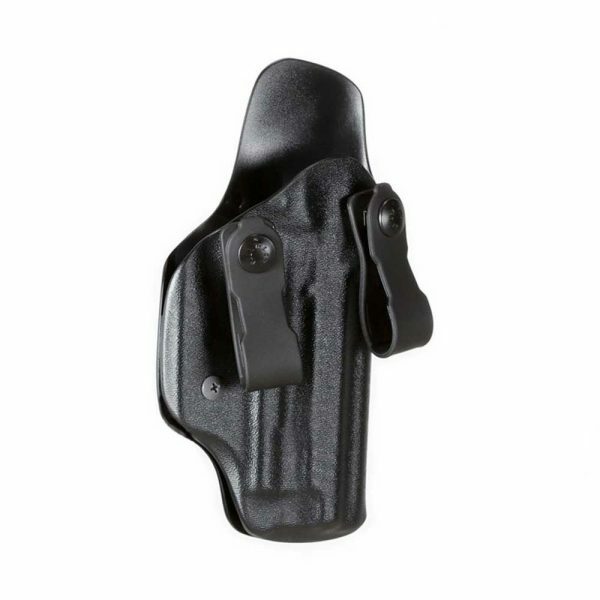 This holster is designed to be worn in the 4 o’clock position on the belt for right handed shooters and 8 o’clock position for left handed shooters. The soft injection molded loops feature security against direction pull. 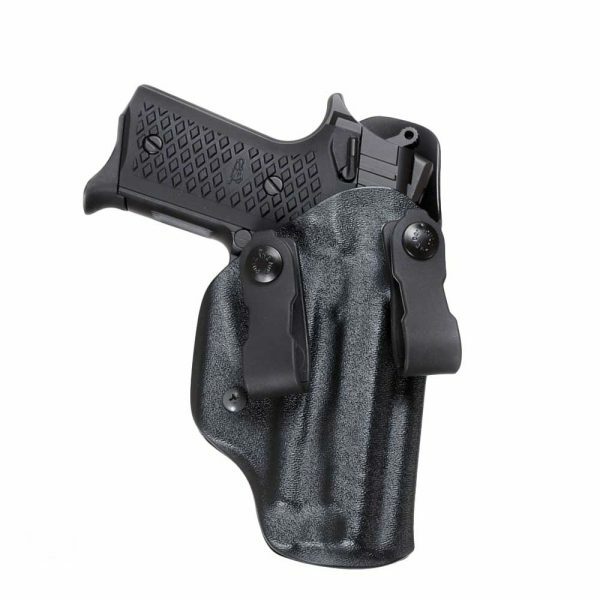 The dot snaps make this holster a secure fit with the pistol yet can be easily taken on and off. When drawing your firearm for the first time you will notice the strategic cutaways. 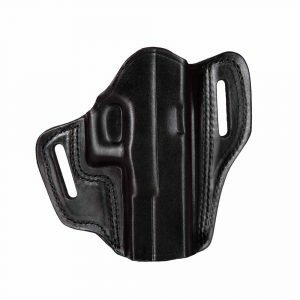 As you come in for the” full combat grip” you will see that the holster is precisely cut away to not interfere with the grip or draw. This holster has an integrated adjustable tension that can be set with any traditional Phillips head screw driver. · Molded friction fit security. 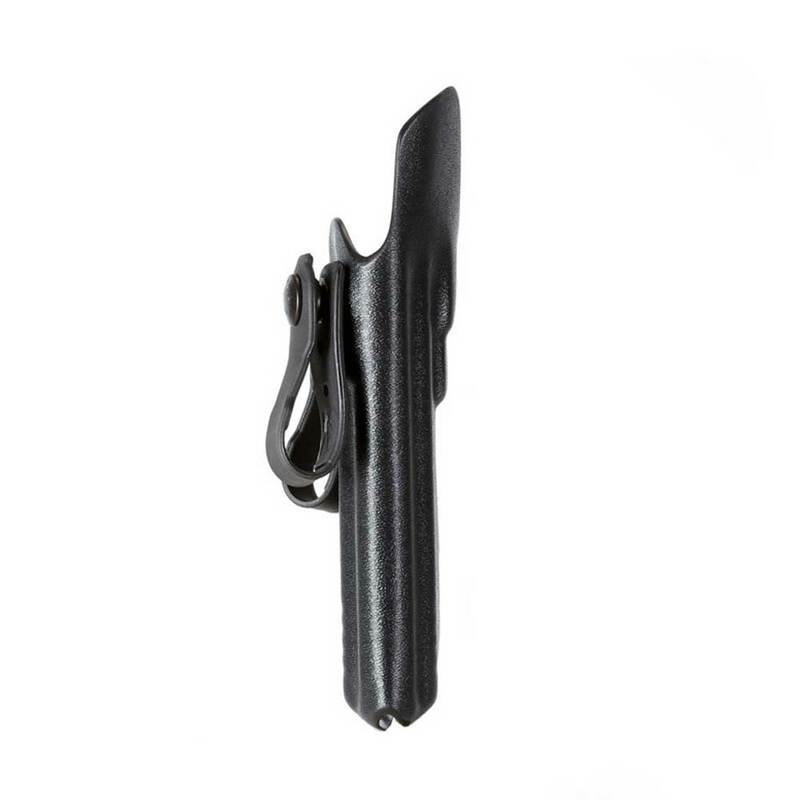 · Full length sweat guard to separate the pistol slide and rear sight from the operator’s skin. As soon as I got this holster, I began putting it to the test. 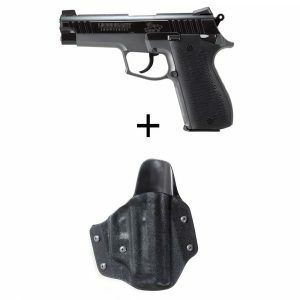 It easily retains the LH9 securely in the holster while you go about your day. It prevents any side to side movement and has very little flex to it. The straps are robust with very tight buttons. My recommendation is to leave them alone and just run your belt through the loops in order to extend the life of the buttons. Drawing from this holster is a breeze and it definitely helped improve my draw time. I also enjoy the fact that Lionheart is using this company, which is based out of Tukwila, just down the road from them. 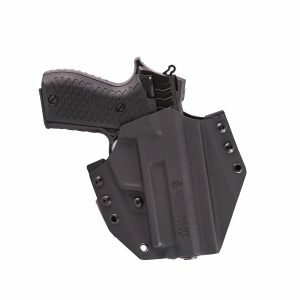 Good holster, and I highly recommend it.